My beautiful Charlotte-today you are 4! On the one hand it seems like it was just yesterday that I was waddling around with you in my belly, and then on the other I feel like you have been in my life forever. I don’t honestly know what we did before you! I know it wasn’t nearly as fun! You are the most delightful little girl. You currently love to decorate and came home crying from school on Valentine’s Day when your teachers didn’t decorate enough for your liking. You love to plan parties and will pull out plates and napkins and other things you can find and set them out for your event. You will talk all day about it and plan it and ask me to invite your friends. This typically drives me crazy because I have to clean this up but it really is the sweetest. You also love to pack up bags and purses with things and go on trips or to parties in your imagination. This is so cute (even though your stuff is always hidden in bags and you forget where it is and get upset) and I love that you like to go through my purse or use one of them. You get so excited when I let you use one and that makes me so happy. You also love make up and can our mine on yourself quite well for your age. I don’t mind and let you play with it because you just seem to love it so and you are very careful and gentle. You are a rule follower and get very upset if you think you are in trouble. You also are a great leader and you love to achieve. I can’t believe how smart you are. You know all of your letters and of course colors and shapes and numbers at least up to 20. You can count to 100 and are starting to do simple math in your head without realizing it. You and daddy still read each night but you have started to try to learn to read yourself. I have loved seeing you enjoy school. You go to music and Spanish and love them! You love the puzzle center beat and every day when I pick you up you tell me who was the leader, what center you were in and who was with you. I am so impressed with the work you bring home. You seem like such a big girl and sometimes I expect and demand more of you than I should since you are so grown up acting. Sometimes, however I look at you and think how little you are—and how 4 is not very old and that I have barely gotten to know the wonderful person you are becoming and honestly I am so glad of that. I could never have imagined your wonderful personality when I was waiting on you 4 years ago and I’m so glad. Everything about you is a fun surprise and I love learning all about you. You have amazing opinions and love to talk and usually are singing or imagining our loud. I hope you always are curious and not afraid to be yourself. Stand up for what you believe in and don’t try to people please too much. It’s ok if not every one likes you and you in turn don’t have to like everyone else, but you do have to be kind, which oh you are so kind. I am so proud of your kind heart. This youear as you have grown and have begun to understand more grown up concepts your little heart has amazed me. You hate when things are lost or missing, especially when children are missing from their parents (like in movies). You get very upset when you find out about new scary things (like house fires this year) and we try to shield you from as much as we can while trying to help you understand at the same time. It’s so hard to be a parent and know what to do and we just want to protect your heart and innocence for as long as we can. Growing up is hard but being a kid should be easy. This past year I have been in awe of your transition to big sister. You took to the role immediately and have never seemed jealous or resentful of your sister. You still call her “my baby” and love to play with her and hug and love on her. You clap when she succeeds and often scold me when I scold her, saying that she is a baby and she doesn’t know. I love how you protect and defend her and I hope you always do. I hope you know that you make us proud every day and we absolutely love being your parents. I love you sweet angel. December was a a crazy fun blur. It was our first Christmas season with frances and of course that made it magical. And Charlotte, well she was all about Christmas this year. She had a detailed list for Santa, loved signing Christmas songs, and was very into the decorations. She actually told me several times I didn’t decorate enough. She asked lots of questions about baby Jesus and I had to stop signing away in a manger because she got upset that Jesus would be cold or the animals would hurt him and wondered why his mommy and daddy didn’t build a door. Her heart is so sweet and I just love that about her! We start December by celebrating Forrest’s birthday! We celebrated all weekend and Charlotte of course loved that. We had a really fun night in Atlanta with friends warxhingthe soccer national championship. We felt so special to get to sit in a box and be a part of the fun! The game was really cool to watch and of course our group made it extra special. We loved getting to watch Charlotte dance at her ballet tea party. She really loves her ballet class and we love seeing her perform!! One of her favorite pretend games to play is “miss cammie” and she makes me teach her ballet moves or vice versa. That week we also got to watch Charlotte’s Christmas program. She was so funny—she kept scooting over towards the center of the group! She was excited for us to see her sing and had been practicing her songs all month. She was excited though to have “23 stay home days” and I was excited to get to have her home for a while. After her program she went with me to get my haircut and decided she wanted one too. I didn’t want her hair actually cut so she got it “styled” and oh did she think she was grown up. That weekend we went to see the lights at river country campground. Charlotte insisted upon the sunglasses. 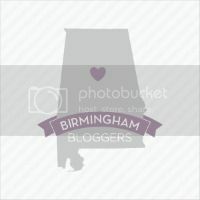 We went to Birmingham for dinner one Monday night to visit with our family. Charlotte loves playing with her cousin mary rose. We rarely get to see that part of the family so it was really nice to get to so for the holidays. One evening we had take out at the smiths. Charlotte I sister upon wearing her snow queen dress. She has been so into dressing up lately and I think it’s so cute. She won’t do this forever. The girls had a great time at aunt Jan’s Christmas lunch. Frances loved the cream corn and dressing and she snuck some chocolate cake. Of course Charlotte had fun with brooks and she was well accessorized. That night we went to the Santa Claus dance. It’s my Most favorite party of the year! We enjoyed having dinner with friends beforehand and then seeing so many out of town friends at the party. The next day we were back at christmasing and went to Mimi’s for lunch. The girls refused to nap but we had so much fun playing with with cousins. The next day was Christmas Eve and we kicked it off with pancakes and pajamas at Davis and Megumi’s. They actually kept the girls for us while they napped and we went to mass, and later that evening we went to aunt Susan and uncle Bruce’s for dinner. The girls had a blast and got so many fabulous gifts! I think I will always cherish this particular night because the next week their home burned to the ground! I’m still in disbelief! We are just glad no one was home or harmed. We had to wake the girls up on Christmas morning and I think I we may have been more excited than they were—at first. Santa was overwhelmingly good to the girls and Charlotte got her covered Barbie dream house and lol surprise doll. Francie got some sweet baby things and items she will need throughout this year. The best part about Christmas morning is that we hosted a brunch for the baileys and my mom sister. I was nervous and thought that might be stressful but it really wasn’t. It was actually wonderful to have everyone over and get to stay and play with the girls. They loved having everyone there to play with. That week we had Harper and Becca come play. Charlotte was in heaven—I think she was missing having friends to play with! That weekend we went to bal d or with our friends the Simmons and had a great time. We were so excited to see our sweet friend hannah be presented. She looked beautiful! We had some great weather during the month and loved getting to play outside. Frances took her first spin in the tricycle! And Charlotte is getting better on riding her bike. I think she just needs more practice. As you can see the month was so fun of joy and love. But there was no rest for the weary as we jumped right into January with both feet! Have mercy January always seems like the longest month. We are all hung over from the holidays and having to get back in our school routine. Charlotte has 23 “stay home” days as she calls them and it was so lovely but we really got lax and it was a tough transition back to the real world. On news years we had lunch at the baileys as per tradition. We ate the typical ham, greens and black eyed pea New Years lunch and frances was a big fan of the peas. We were shocked to learn that aunt Susan and uncle Bruce’s Home brined to the ground the night before. It was so scary and sad but luckily they weren’t home and were safe. We tried frances out in the big girl car seat but she was not a fan so back in the baby carrier she went for now. She is so heavy in that thing but it really is easy for me now so I’m sort of dreading moving her out of it. Right after New Years I got bronchitis and Frances got croup. It was a tough several days for us but luckily my mom was able to help while I was sick and exhausted. This month Charlotte has really gotten into parties and decorating. Here she is setting up my “birthday party”. She is so adorable doing this even though she drags my stuff all over the house. Frances has been a climbing machine!! Every day she finds something new to scale. It makes me so nervous! One night we met Justin and farrah for dinner at Baja cantina. The girls just love them and they really loved the food. Frances was a big fan of the rice. Charlotte says she wants a taco but she means quesadilla. This month we welcomed shadow dash bailey to our family! He is the sweetest puppy and so gentle with the girls. We had a fence installed so he can be an outdoor doggy and he just loves frolicking outside when it’s nice. We all have been taking advantage of the warmer days that have been happening lately. We went to Mimi’s for Monday night dinner over mlk holiday. It’s always so fun to be with them all and the girls always have a great time. Charlotte and I also had our dental cleaning. We were so nervous about how Charlotte would react but she did great! Charlotte and I went on her class field trip to the snow exhibit at the imagination place. It was so fun to see her playing with all of her sweet friends. Charlotte now enjoys going with me to get my hair cut so she can get her hair “styled”. Anita is so sweet to treat her to this fun! The girls had a blast at John Roberts 3rd birthday party! A fire truck came and Charlotte really enjoyed climbing all over it. Frances just took the whole experience in and was asleep before we made it home. Forrest and I had a fun night out with friends at the 9 o clock dance. We couldn’t stay very long but it was nice to get dressed up. This month we sadly lost Forrest’s grandmother nana frith. She was a sweet and fancy lady and she will be so missed by our family. It makes me so sad the frances never got to know her and I hope that Charlotte will remember her trips to Selma to visit her. Her funeral service was probably the best one I have ever been to—the speakers were spot on in their comments about her and made me at least feel at peace. I will always remember her love for pink and all things fancy and think that Charlotte definitely carries a piece of nana frith in her. Wow this month was a big one! Our baby started walking!! Just a few days after she tuned 10 months she was taking steps. She started with a few to forrest and now she is walking across the room! I am so proud of her progress!! When she started doing it I just started crying. It doesn’t seem right that she can walk. I know she has so much babyness in her but this is a big milestone. After watching Charlotte turn into a little girl from a baby it makes me sad to watch frances start doing it too. Also this month she added some new words. She can say “baby” and will say “nyeh nyeh nyeh” for no no no and will shake her finger. She will also hold up 1 finger when you ask how old she is. She has started waving (the correct way) and can point out toys when you ask for them. We also think she knows the color blue, as she always picks the blue ball when we ask her for it. She can do “what does an elephant say” but raising her hand and making a trumpet sound. She gets so proud of herself! She gives the sweetest open mouth kisses and can give you a nose kiss in command. She will also hug a toy when you ask her to love it. She still sleeps well and is now firmly back on two naps. She will go down awake for everyone but mommy—she prefers that I stroll her around the house before falling asleep. It doesn’t usually take long and I don’t generally mind. She sleeps in her crib with her paci and pillow and usually takes a bottle of milk before going down. Meal times are usually easy with her as she eats most anything. Her favorites are blackberries followed by strawberries and blue berries, but she likes most fruit including peaches pears and grapes. She really likes green beans and green peas and eats plenty of other veggies. I try to give her some of what we eat if it’s appropriate and she typically gobbles anything down. She still gets baby food occassionally and still seems to enjoy it, although sometimes she would rather feed herself. We really need to work on drinking from a cup and transitioning off of formula but part of me just isn’t ready to do that yet. Similarly I don’t want to put her in the big girl car seat despite the fact her infant carrier weighs a ton now. It’s just so easy to have her in it when I have both girls but I know my time is pretty much up with that luxury. As for play time she is in to everything. She really enjoys pop up books or any kind where she can touch and feel different textures. She also enjoys pulling all the books off of her shelves. She likes carrying around Charlotte’s bay dolls and watching her Mickey Mouse doll dance and sing. She will always find the remote if your phone to chew, as well as Charlotte’s shoes. If Charlotte has it frances wants it, so usually I have Charlotte let her see it for a second because frances usually hands it back to her. She does pick up here toy phone and hold it to her ear, and will do that with any toy of if you say “hello”. She is still mesmerized by brownie and loves to pet her. I have been trying to remember to put in a preschool prep dvd when we are downstairs playing, just to have on in the background. They really helped Charlotte learn and I don’t want to miss an opportunity. Frances really doesn’t like to be confined anymore so gone are the days of me putting her in her jumpy when I am trying to get things done. Now she is on the move and climbing whatever she can find! I am working 4 mornings a week right now so she has sitters and she seems to do just fine with them. I hate not being with her but know the different interactions are great for her. She wears a size 5 diaper and 12-18 month clothes. I really should say pajamas rather than clothes because I almost never change her out of them. We just rotate from one pair to the next. I absolutely love dressing my girls but for her during the day it’s easier if she just wears feetie pajamas, especially since she always pulls her socks off. Playing “where’s frances”, one of her favorite games! I can’t believe that next month our baby love will be one! She is truly a delight and her little smile lights up our hearts.